In 1917 the world was rocked by claims that two young girls – Elsie Wright and Frances Griffiths – had photographed fairies in the sleepy village of Cottingley. In 2017, a century later, we finally discover the true nature of these fey creatures. 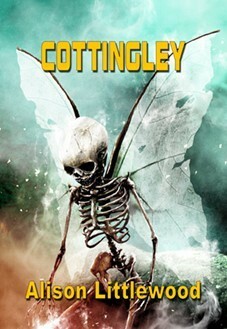 Correspondence has come to light that contains a harrowing account, written by village resident Lawrence Fairclough, laying bare the fairies’ sinister malevolence and spiteful intent. A gripping, enchanting tale from the bestselling author of Richard & Judy Book Club hit The Cold Season. "An excellent read in every way... Quiet and traditional horror story in the 'classic' sense, more Machen then James, that ticked all my boxes. Highly recommended." -- Charles Prepolec, of Cottingley. The book is available as a paperback and a signed limited edition hardback, limited to 100 numbered copies.